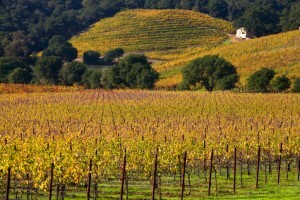 Napa Valley is unsurpassed in wine experiences. Why? Because it offers everything from DIY vineyard tours to VIP excursions into the heart of this beautiful wine-making region. If you’re looking for a wine tour that falls somewhere in the middle, think about signing up for a Napa Valley Wine Train Tour. It’s relaxing and you can explore select wineries at your own pace. However, as part of the tour, you are pampered while you ride through the valley on board a historic train. You get to dine on gourmet cuisine, sip carefully chosen wines and more. Learn about their dining journeys and their winery tours, and start making plans to come to Napa this year! Download our free Napa Valley Vacation Guide for additional suggestions for things to do and see during your visit, including the Napa Valley Wine Train Tours. 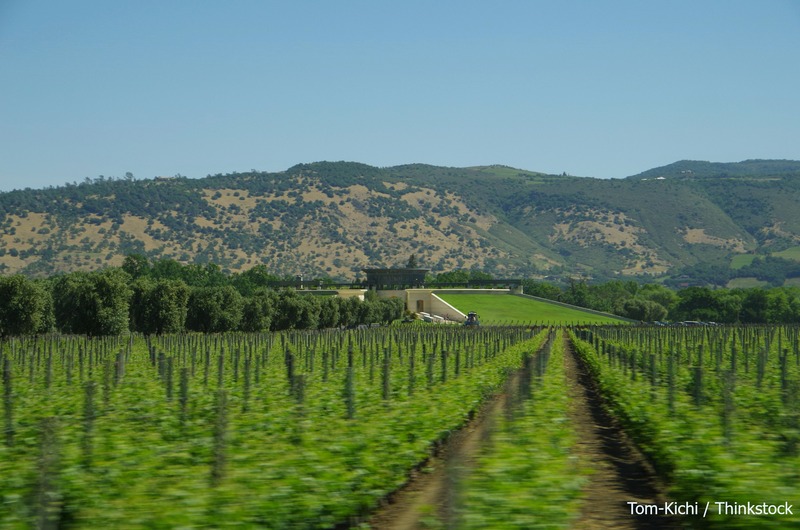 What Napa Valley Wine Train Tours Are Available? The Napa Valley Wine Train Tours are arguably some of the best in the region. They are well known for their winery excursions, which include the Castle Wine Tour. During this day-trip, you’ll learn all about a special winery, Castello di Amorosa, an authentically styled 13th century Italian castle. It was built in 2007 and is surrounded by 30 acres of estate vineyards. Your journey includes a multiple-course gourmet lunch as you ride through the countryside on the vintage train. It also includes a welcome taste of wine followed by an exclusive tour and tasting at Castello di Amorosa. One of the other tours you should experience aboard the Wine Train is the Evening Tour. This is the only opportunity where you can tour the Grgich Hills Estate after it has already closed for the day. 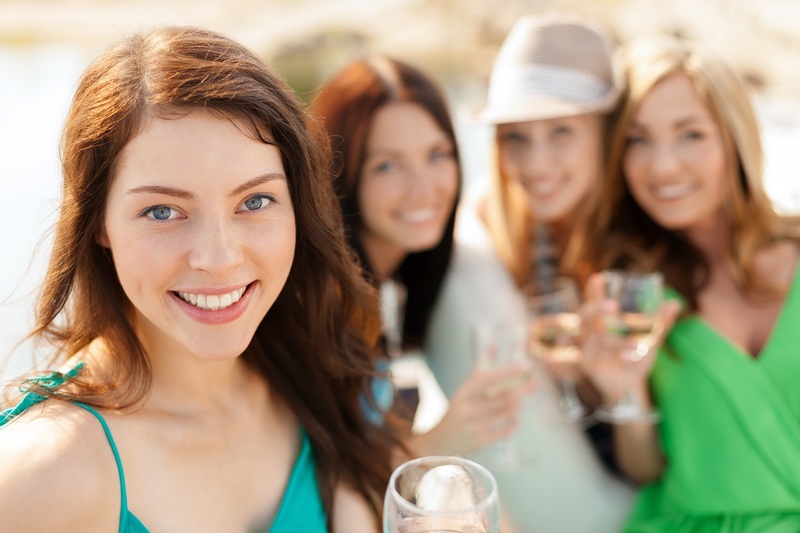 Your tour group will have the winery to yourselves, offering the chance for a very intimate tour of one of the most popular wineries in the region. A gourmet dinner is served on the train after the tour of Grgich Hills Estate. 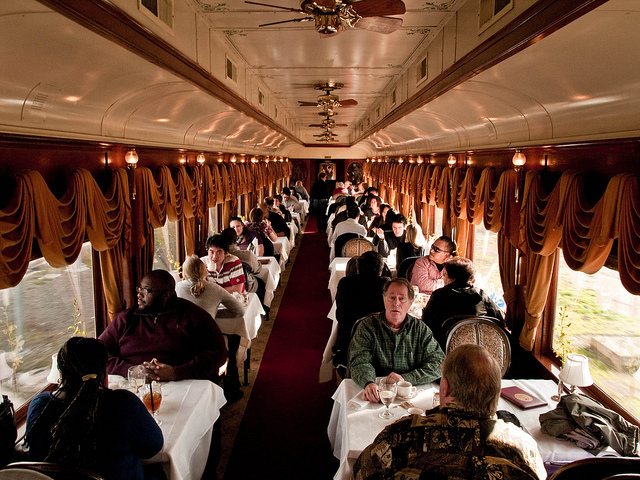 The Napa Valley Wine Train’s Dining Journeys are also spectacular tours. You can select from a lunch, dinner or murder mystery excursion, all of which feature gourmet meals prepared on railcars dedicated to food preparation. Your dining car options include the Vista Dome, Champagne Vista Dome, Gourmet Express and the Silverado Car, each of which offer a unique setting for your culinary experience. The Evening Tour is a wonderful opportunity to see Napa Valley during “magic hour.” Depending on the time of year you visit, you’ll experience a Napa Valley sunset during this particular excursion. Bring your camera, because the entire valley simply glows. It’s gorgeous and very romantic. The antique rail cars are another fascinating feature of the Napa Valley Wine Train Tours. Many of the cars are 1915 Pullmans, including the Cabernet Sauvignon Lounge Car. It came from the Denver Rio Grande and was originally built for the Northern Pacific Railway. Selecting a place to stay during your trip to Napa is crucial. You will want to find a place that is charming, romantic and convenient with luxurious rooms and amenities, as well as a delicious breakfast. Churchill Manor in the heart of Napa offers all of these things and more – including a Napa Valley Wine Train Package! One night in a Churchill Manor king-bed or queen-bed guest room. A 3-hour gourmet lunch or dinner ride aboard the Napa Valley Wine Train, located less than a mile from Churchill Manor. Beautiful refurbished 1915 – 1917 Pullman railcars create a relaxed atmosphere and food is expertly prepared by Chef Kelly McDonald. Wine Train beverages and gratuity excluded. If you would like to include a winery stop along with your Napa Valley Wine Train excursion, Churchill Manor also offers the Wine Train Valley First Tour and Ambassador Tour options. Please call for pricing and availability. For more ideas of things to do while in the area, and information about Churchill Manor, download our free Napa Valley Vacation Guide which showcases only the best the area has to offer!